An offshore windfarm, capable of powering over a million UK homes, has been given the green light. It will be the world’s largest and will be situated off the Yorkshire coast. DONG Energy has just made the final investment decision to ensure the 1.2 gigawatt (GW) scheme will come into fruition. The windfarm will be based 75 miles off the Yorkshire coast and will span a huge 160 square miles, five times the size of Kingston-upon-Hull. Building the windfarm will also involve constructing the world’s longest electrical system, with more than 560 miles (900km) of cables to bring the electricity produced by the wind turbines to shore and feed it into the national grid. It will bring much-needed employment to the region, providing 2,000 jobs during the building phase and 300 extra jobs once it is up and running. Hull is set to support the project, with Siemens named as preferred supplier for the turbines. It should be fully operational by 2020. 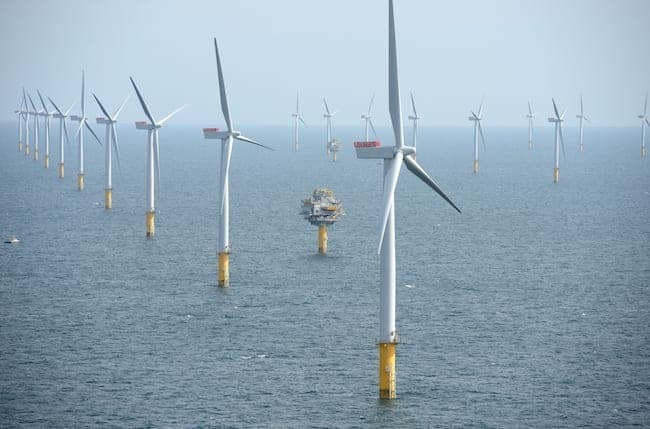 The wind farm will use 174 of the vast seven megawatt (MW) offshore wind turbines, each of which are 190 metres (623ft) tall – higher than the world famous Gherkin building in central London. Brent Cheshire, DONG Energy UK’s country chairman, said: “Hornsea Project One is a world-leading infrastructure project being built right here in the UK. It is groundbreaking and innovative, powering more homes than any offshore windfarm currently in operation.